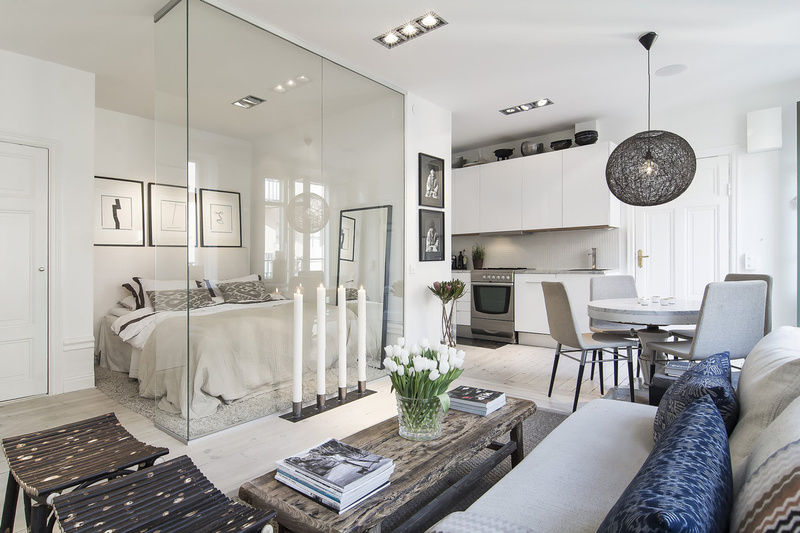 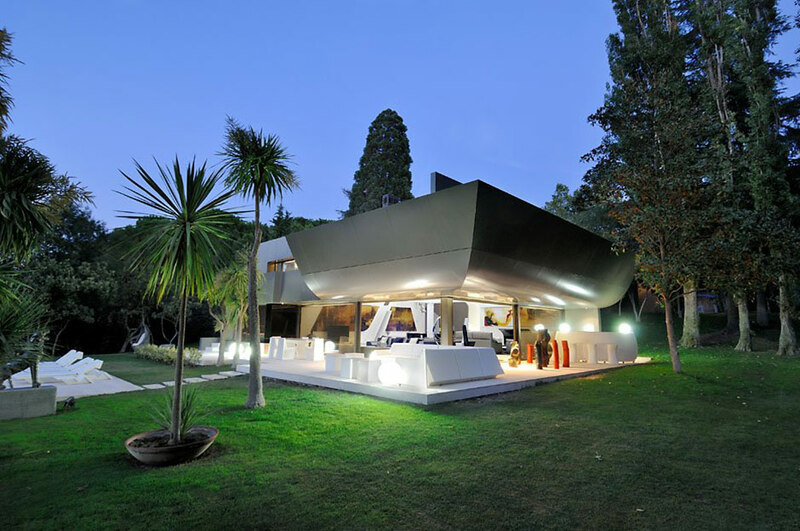 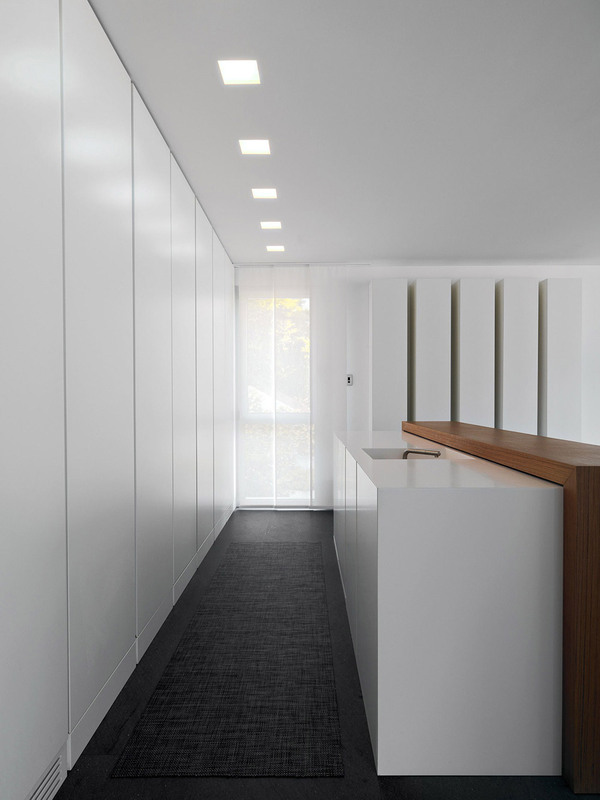 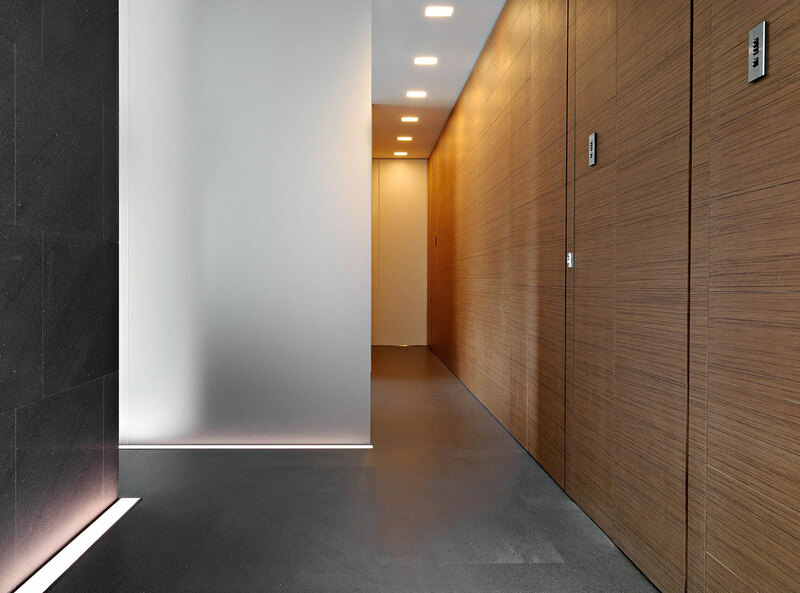 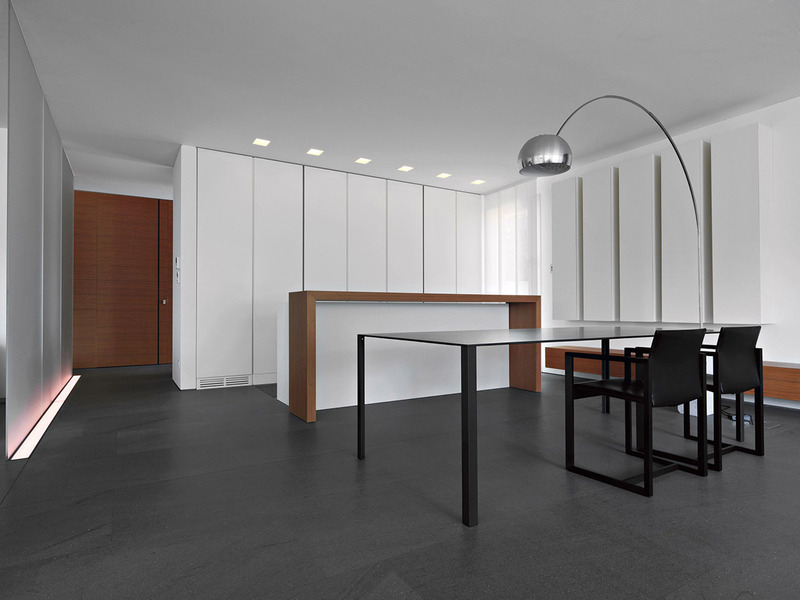 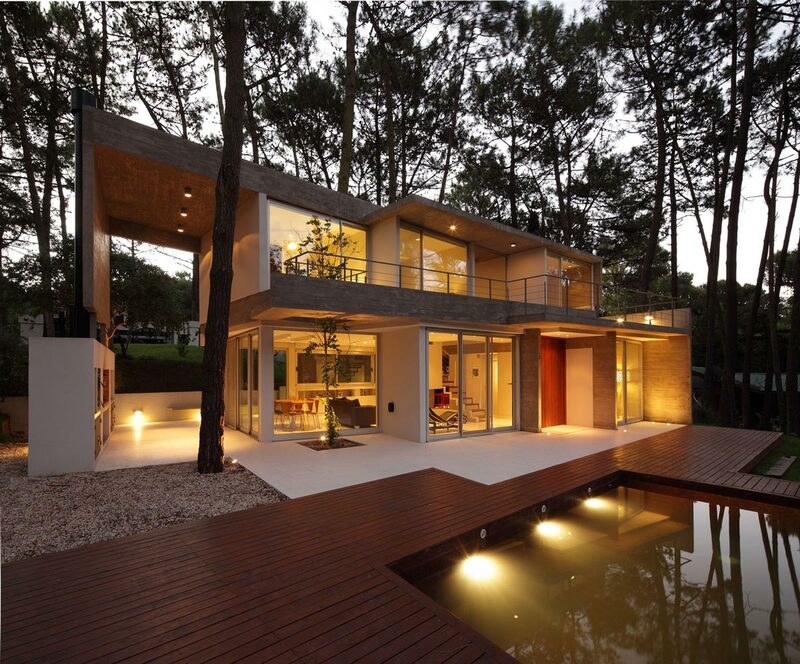 The Attico Migani residence was completed in 2011 by the Milan based studio Victor Vasilev. 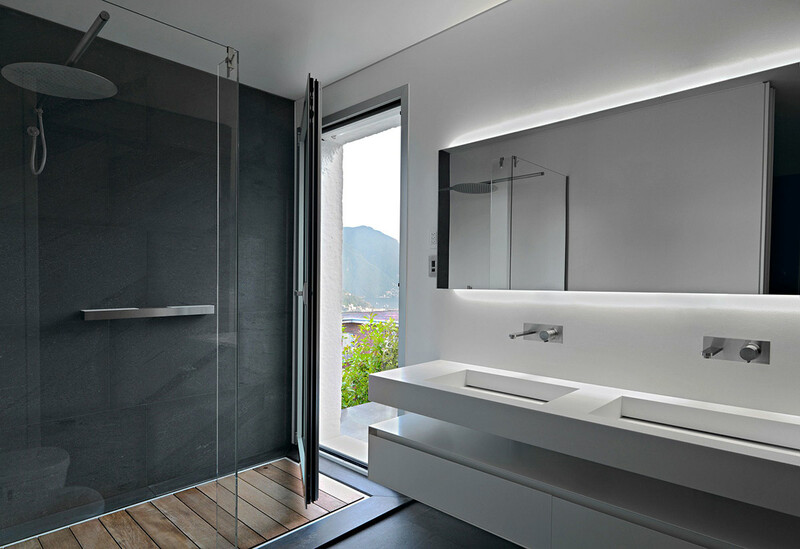 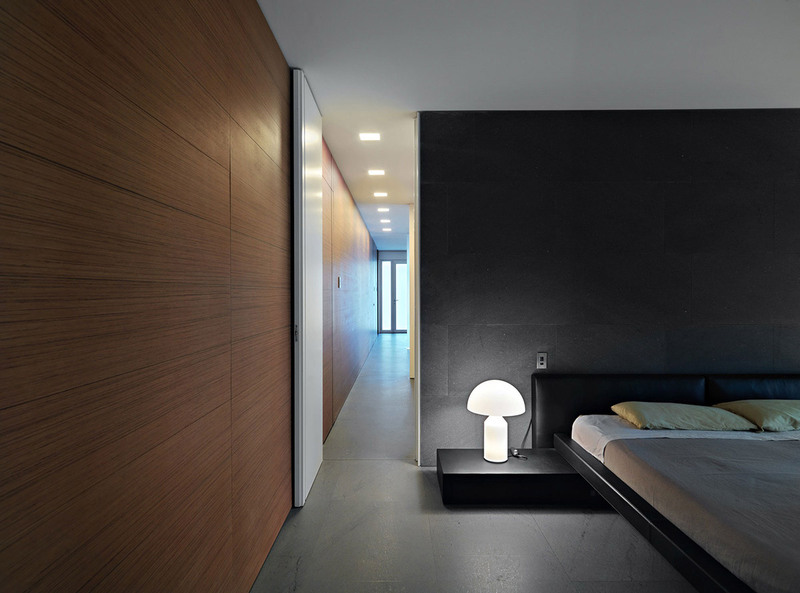 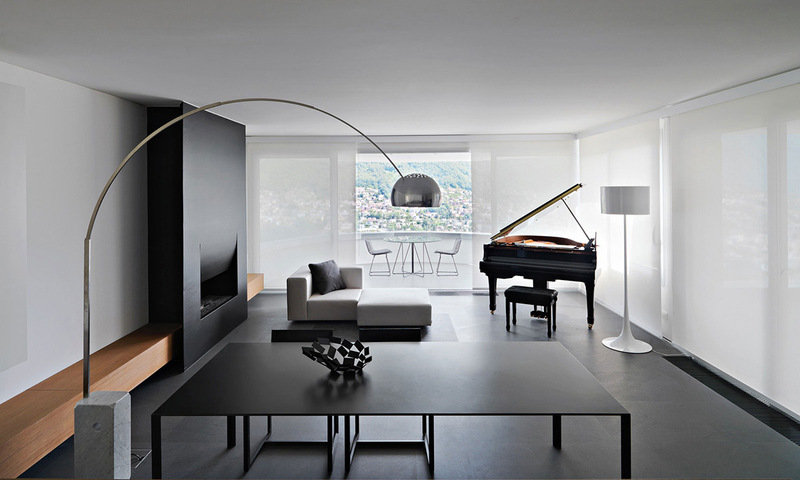 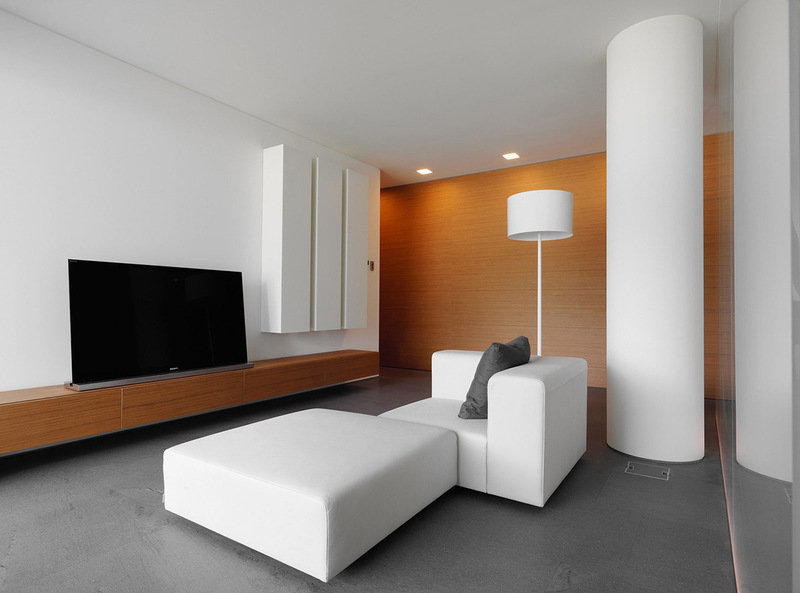 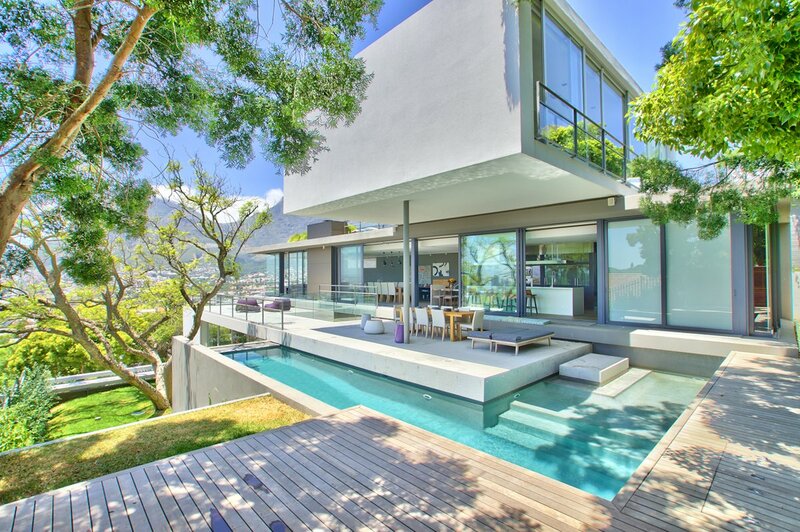 This contemporary minimalist home is located in Lugano, Switzerland. 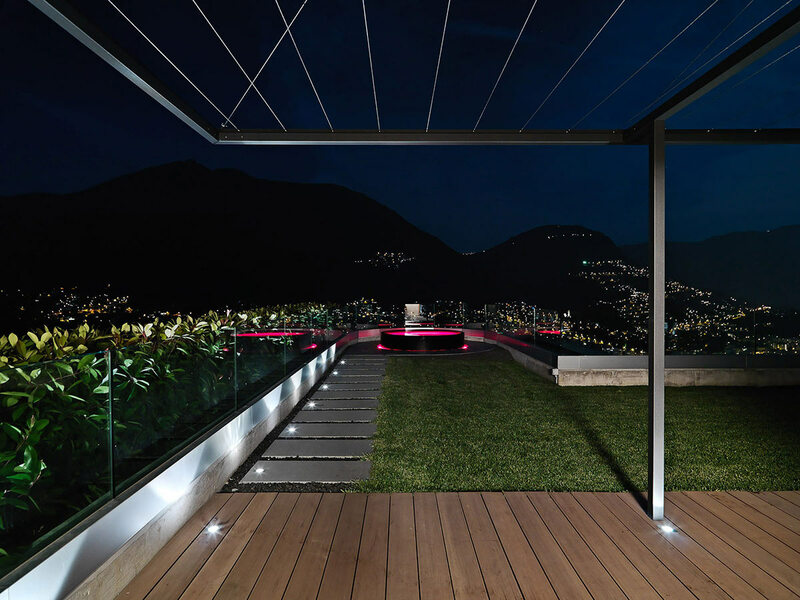 “The project concerns the arrangement of the interior and exterior of a house on the top floor of a new building in Lugano. 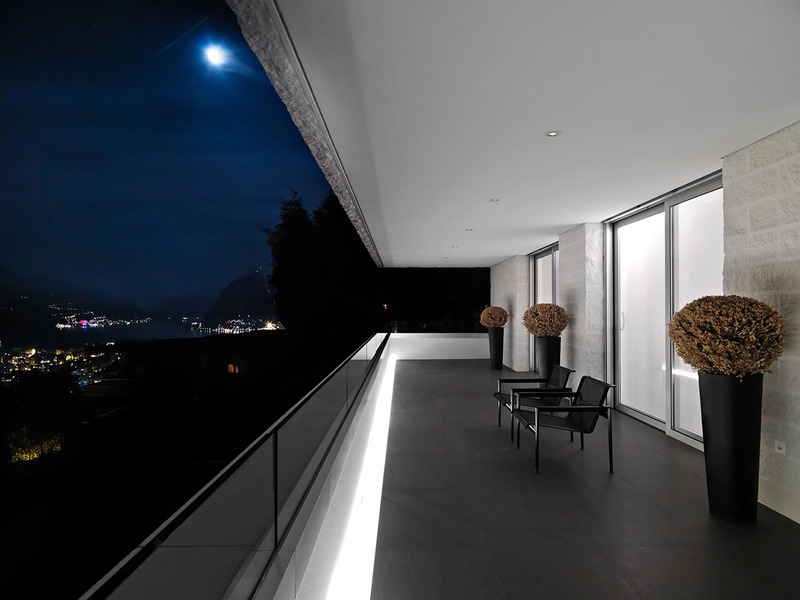 The clients wanted a tailored solution that could add a home heating system in accordance with the rationalist character of this architecture in Ticino. 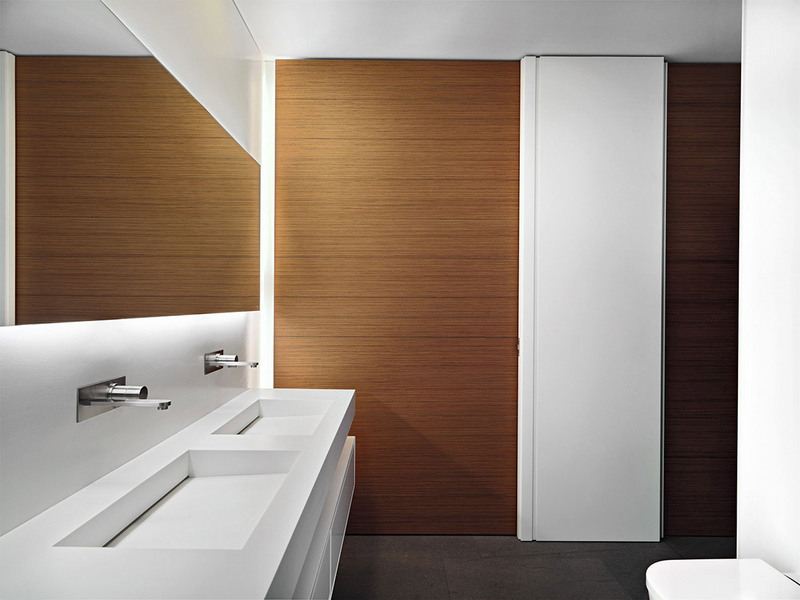 The element ‘key’ of the proposed solution is the teak panelling. 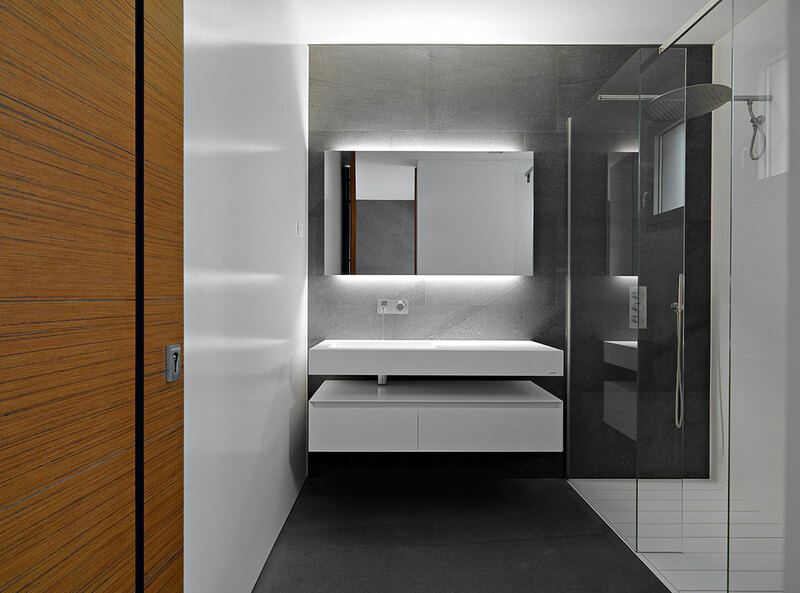 This ‘hides’ the gates of service areas (guest bathroom, storage and internal lift), but its real function is to create a sense of unity among the various rooms of the house. 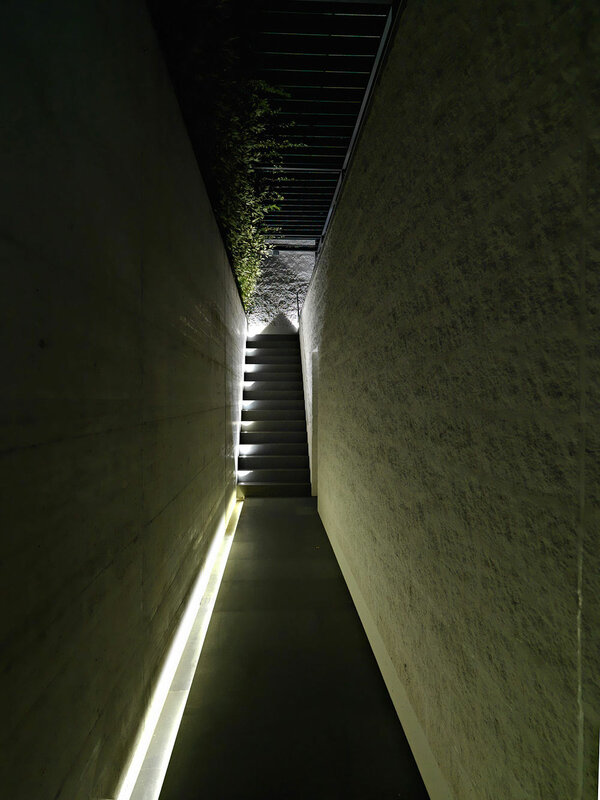 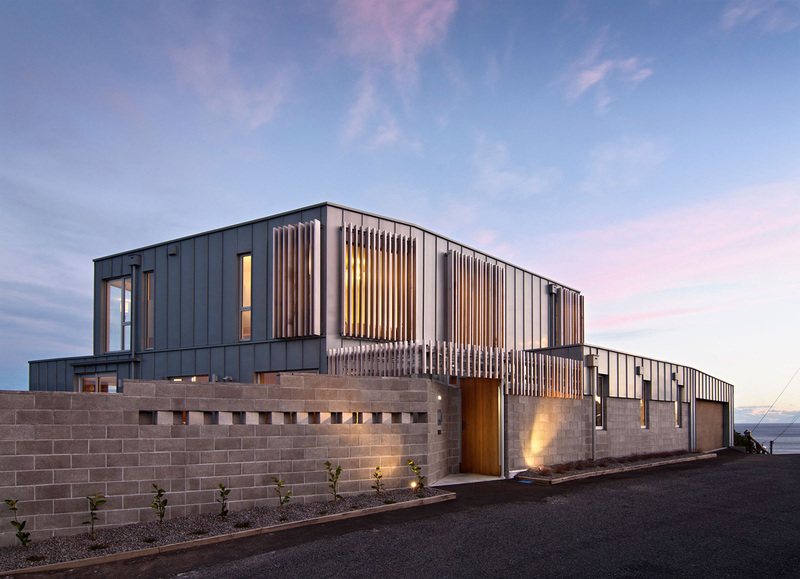 The choice of material has been driven by the desire to maintain the continuity of perception between inside and outside. 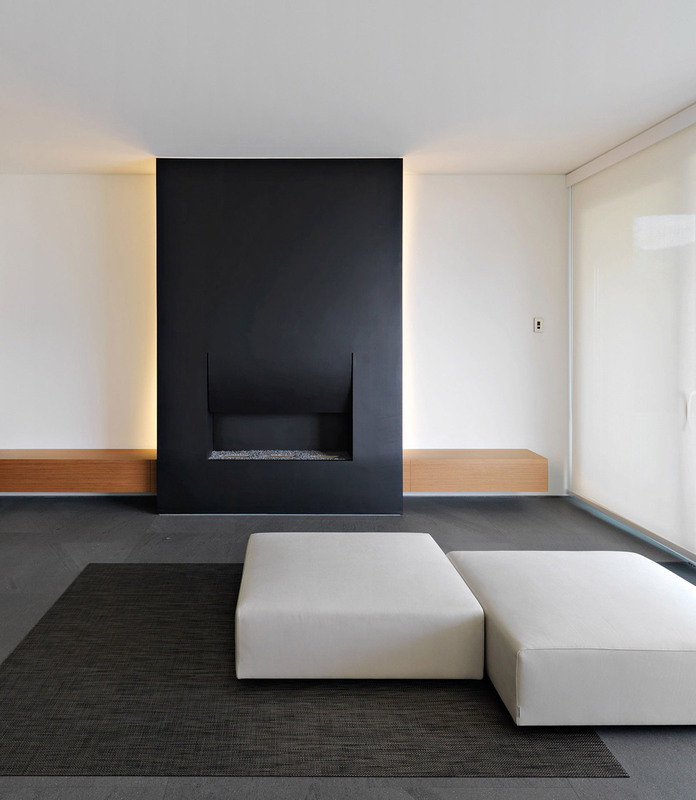 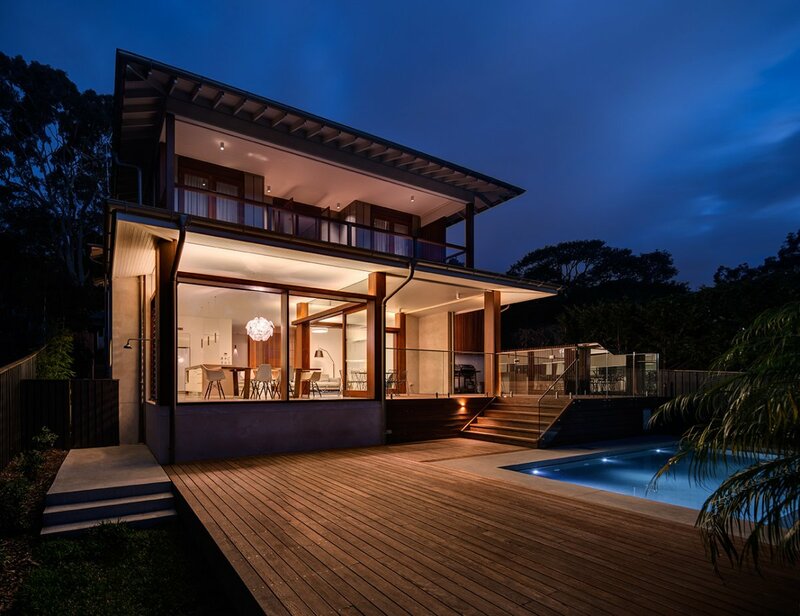 The floors are covered with basalt stone and teak was used for the flat roof.